The earliest inhabitants of Greece were probably Mousterian hunter-gatherers who roamed the region during the Middle Palaeolithic period. By 4000 BC Neolithic villages were established in most fertile lowland regions. The earliest cities date from about 2000 BC. People from the north are said to have invaded Greece several times, especially in the centuries immediately preceding 2000 BC, but precise dates and evidence for these invasions are lacking. In the period 2000-1000 BC major advances in Aegean civilization occurred on the island of Crete and on the Greek mainland; the two civilizations that developed were the Minoan in Crete and the Mycenaean on the mainland. The impetus for the growth of the Minoan civilization came from South West Asia, particularly Turkey and Lebanon. The main historical importance of the Minoan culture lies in its role as an intermediary between the civilizations of South West Asia and the still nomadic pastoralists of Greece. After 1600 BC the inhabitants of the Greek mainland came into contact with the Minoans and the first stage of civilization in Europe began. The Mycenaean culture flourished in the period 1600-1200 BC. It was limited in the extent of its settlement, although the Mycenaeans were wide-ranging traders and looters. They conquered Knossos, Crete in 1450 BC ending the independence of the Minoan world but by 1200 BC the civilization was in decline. By 1150 BC, the writing and art, and political and economic centralization of the Mycenaean age had disappeared. The Greek-speaking Achaeans had migrated into the Peloponnesus in the thirteenth and fourteenth centuries BC and were followed by several invasions from the north. The Aeolians and Ionians came first and finally the Dorians overthrew the Achaeans in about 1100 BC. There are few records of the period 1100-700 BC, but it is believed that during this time the Greeks established their own political, religious, artistic and intellectual identity. By 700 BC they had developed their own alphabet, the basis of Greek democracy had emerged and the style of pottery, art and architecture was distinct from that of the Minoans and Mycenaeans. Among the most important products of this period were Greek mythology and the Homeric epics. The mythology of the Greeks was most influential in Western civilization and initially it was transmitted orally, first being written down in about 600 BC. The epics of Homer, The Iliad and The Odyssey, were created in the eighth century BC and were also transmitted orally until about 600 BC. Although the stories told in the epics cannot be verified, archaeologists have found that many of the details in them are historically accurate. For instance, in the late-nineteenth century Heinrich Schliemann excavated a settlement that is now thought to have been the city of Troy, written about in The Iliad. Hellenic period The Hellenic period was an age of expansion. 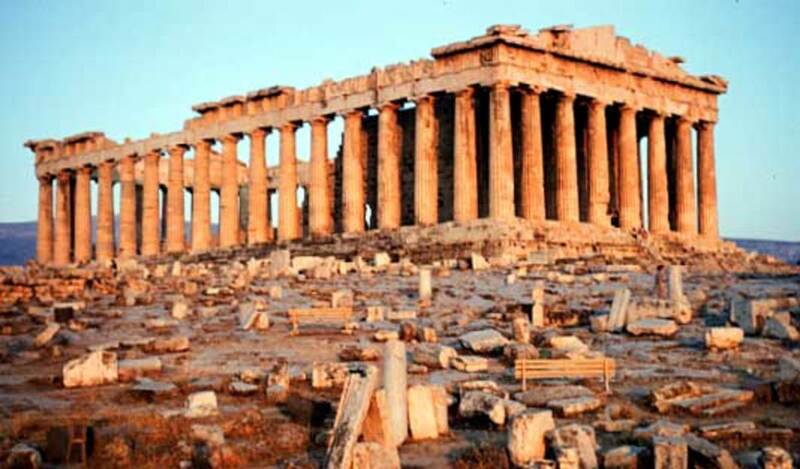 It extended from 700 to 500 BC and was marked by growth and development in all aspects of Greek life and culture. From 750 BC onwards many Greeks moved out of the Aegean and settled along the coasts of the Mediterranean and of the Black Sea. In these regions they created new Greek states, which eventually spread Greek civilization over much of Europe. These colonies were almost entirely independent entities whose only real ties to the mother state were religious and cultural. The Greeks also established trading posts throughout South West Asia. In the latter stages of the Dark Ages the political structure of Greece had developed from a loose tribal system into one of hundreds of small independent city states which became more tightly organized during the Hellenic period and were in almost constant conflict with each other. The development of coinage shortly before 600 BC led to a rapid expansion of economic activity and this was related to a widening of the social and economic gap between the rich and poorer classes. Although the standard of living generally rose, most of the benefits of economic expansion were absorbed by the rich. Much of the wealth of the aristocrats was concentrated in the expansion of art and architecture. Architecture, especially temples and other religious buildings, became increasingly elaborate and monumental. By 500 BC the work of Greek sculptors, jewelers, potters, coin-designers and metal-workers was highly skilled and valued throughout the Mediterranean. Philosophy also developed during the Hellenic period. The first known Greek philosopher was Thales of Miletus who lived round about 600 BC. The two main Greek city states that emerged during the Hellenic period were Athens and Sparta. In 700 BC both were very similar; each still had kings, who were war chieftains, and a developing aristocracy. Sparta was the first city state to give ultimate political power to a citizen assembly. The Spartan Assembly was guided by a steering body, the Council of 30 Elders, which consisted of 28 elected members and the two kings. In Sparta the only people eligible to vote were free males living in the valley of Eurotas. Citizens living in the hills were not eligible to vote and the large peasant class, the helots, had no political rights. In Sparta service to the state and concentration on military virtues were more highly valued than in any other Greek state. Throughout the sixth century BC, the Spartan army was used to control helot rebellions and conquer most of the Peloponnesus. Sparta was often called on to provide military assistance to other Greek states and was chosen as the Greek leader during the Persian Wars. It was not until the fifth century BC that Greek culture began to center on Athens, largely because all trade routes had begun to focus there. 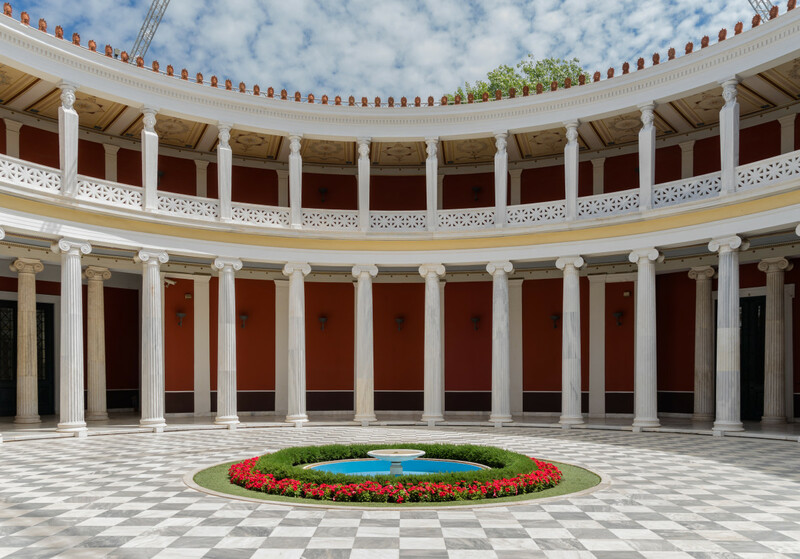 From this time onwards Athens became the major Greek cultural center, attracting philosophers, poets and artists. The democratic system which developed in Athens provided the basis for many of the democratic institutions of the Western world. By the seventh century BC Athens, like other states, was dominated by an aristocratic class; the poorer classes were oppressed and often sold into slavery. In 594 BC, however, the reformer Solon was elected to power and he abolished enslavement of Athenian citizens but the Athenians continued to hold slaves themselves. 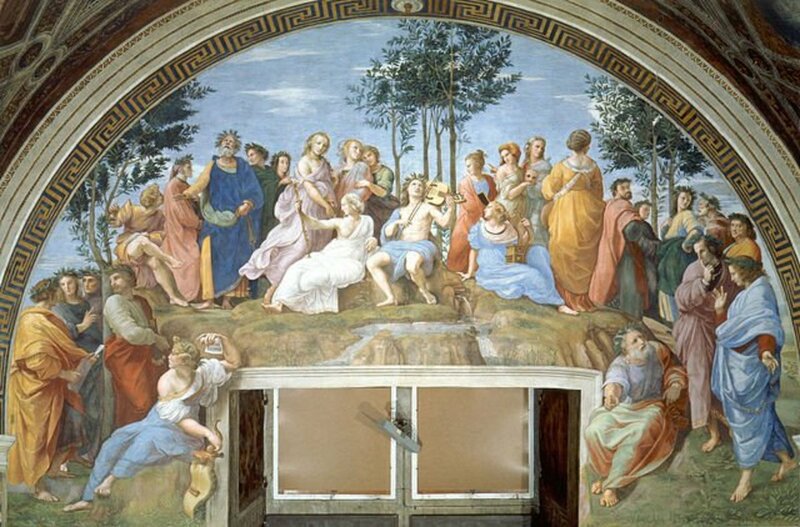 In 508 BC power passed to the liberal leader Cleisthenes, who reorganized the political Athenian democracy The Assembly consisted of all male citizens over 18 who were willing to attend sessions. A steering committee, the Council of 500, which consisted of members drawn by lot, prepared the agenda for meetings and investigated all issues before they went before the Assembly. Decisions were carried out by an administrative branch which also consisted of officers drawn by lot. The only officials elected by public vote were the city architect and the Board of 10 Generals. The generals became the real political leaders and in the fifth century BC one of the strongest generals was Pericles who introduced a number of popular reforms, including the creation of democratic law-courts and the payment of jurors so that even poor citizens could play an active part in government. Although it has often been described as the most complete form of democracy that has ever existed, Athenian democracy limited political participation to free adult males only; women, slaves and foreigners were excluded. The development of Athenian democracy was closely tied to the increasing imperialism of Athens. The wealth obtained from foreign possessions created a leisured class free to participate in political life. Athens developed a sea-based empire which spread over much of the Aegean. The Athenian Empire developed from the voluntary association of Greek states called the Delian League, formed after the Persian invasion and defeat in 480-479 BC. The aim of the league was voluntary cooperation to prevent a further Persian invasion but gradually the other states became dominated by Athens which had the 'hegemony' or executive power. At its height in the late fifth century BC the Athenian Empire covered about 170 communities on the northern and eastern Aegean coasts. Almost all subject states paid tribute to Athens, followed Athenian foreign policy and used Athenian coinage, weights and measures. The sacred island of Delos was the headquarters of the league and the location of the treasury which held all the tribute. 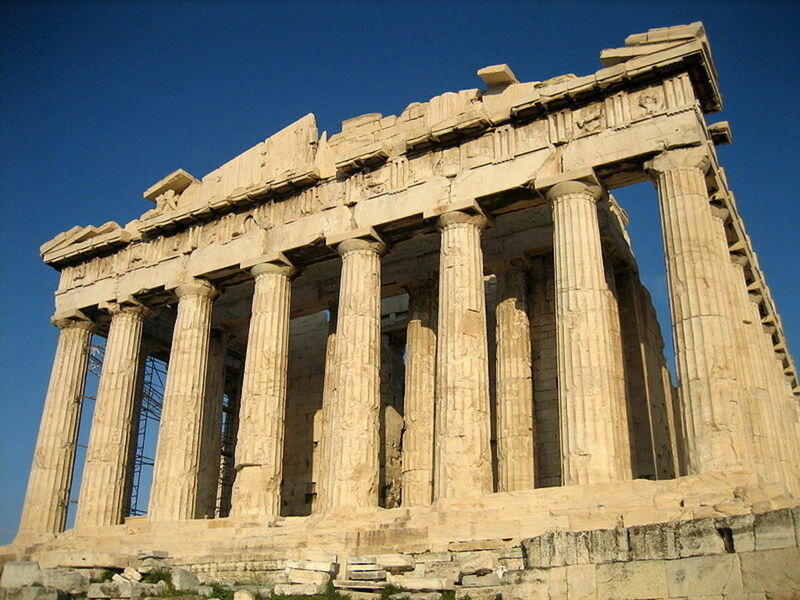 Much of the tribute money paid to Athens was used to beautify the state; the cost of the Parthenon was met from this source. 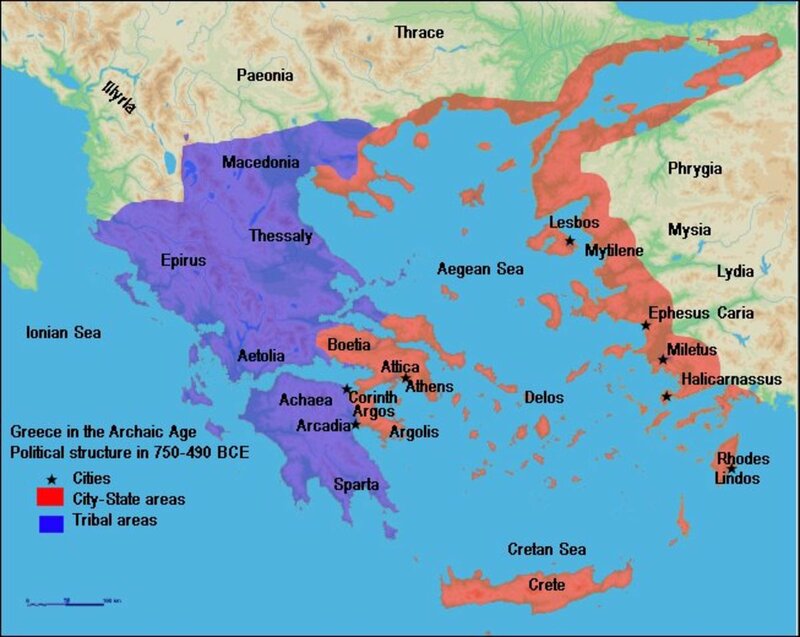 The imperialistic aggression of Athens was disapproved of by Sparta and the other states that formed the Peloponnesian League and is considered to have been an underlying cause of the Peloponnesian War between Sparta and Greece which lasted from 431 to 404 BC and left Athens defeated. Spartan control of Greece lasted for 30 years but was marred by constant wars and unrest. In 371 BC the Spartans were defeated by Thebans who were also unable to successfully rule Greece. Persian influence in Greek colonies was expanded but the Persians did not invade Greece again and no effective power ruled Greece until the rise of Macedonia, a kingdom to the north of Greece. Philip of Macedon invaded Greece and defeated the Theban and Athenian armies in 338 BC. 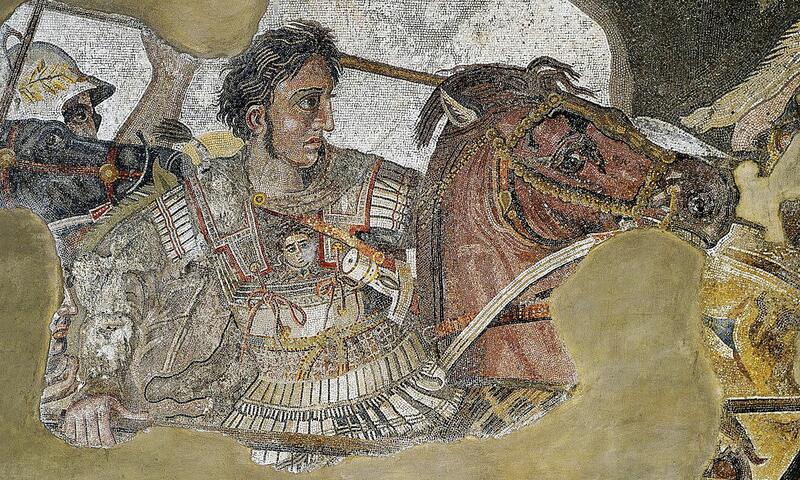 Philip was murdered in 336 BC and his son, Alexander, who became Alexander the Great, continued to rule Greece. After this period, Greece no longer consisted of independent city states but, as Alexander expanded his empire, Greek culture was spread over a larger area than ever before. Horrible, didn’t answer my question. You didn't tell us about how they rose to power which was the information I was looking for. The title is clearly, "The Rise of Ancient Greece" but you didn't tell me a single thing of how they rose to power. There weren't enough details and information. YOU DIDN'T MENTION HOW THEY ROSE TO POWER WHICH WAS THE REASON I WAS LOOKING AT THIS ESSAY! when and how did they rise? How did they come to vase-making and pottery? when was their decline? why? what was the worst thing that affected the greeks? 2 stars from me, for lack of information. My question wasn't answered. It was how did the greek empire rise to power, I give this website 2/5 stars due to lack of information! how did they come into power? ?